The Steelers ended Week 1 with a terrible loss to the Tennessee Titans at home, losing 16-9. Pittsburgh was beaten soundly by a new-look Titans defense, but losing their first game of the season turned out to be the least of their worries after a rash of season-ending injuries hit the club. Most notably, All-Pro center Maurkice Pouncey tore his ACL and MCL and will require surgery that will end his season. Starting linebacker Larry Foote also suffered a season ending injury, a torn bicep muscle in the loss. Finally, backup running back LaRod Stephens-Howling suffered an ACL tear. In the eyes of the oddsmakers, the Steelers lost some considerable ground in the race for the AFC North crown. Opening the season as small underdogs to the +180 Cincinnati Bengals to win the division, Pittsburgh was listed at +210 before Week 1 action. After the loss to the Titans and the litany of injuries that followed, Pittsburgh is now listed at +325 to win the AFC North. They are now behind the Cincinnati Bengals +120 and the Baltimore Ravens +200 and are only ahead of the Cleveland Browns +700 in the race for the division. However, despite the terrible injuries the Steelers sustained in Week 1, I think it is way too early to give up on this team. At +325, I still think they are a solid bet to win this division for a variety of reasons. 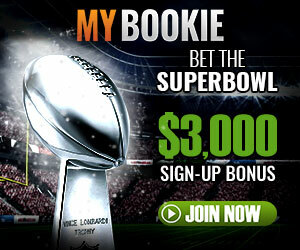 Note: All the odds above are provided by Bovada.lv, the top sportsbook for US bettors. If you bet NFL football online be sure to choose a reputable sportsbook that pays out in a timely fashion that has an established track record. Too many sports bettors go with rogue operators and end up losing their funds. Even once seemingly prominent players in the offshore betting world, like Betislands can turn rogue can and close up shop instantly leaving bettors without their bankrolls. Ben Roethlisberger never seems to get the credit he deserves in NFL circles, but he is as talented as any quarterback in the league. The winner of two Super Bowls, Ben has never needed a strong offensive line to win critical games ¨C or championships for that matter. His statement following the Titans loss about the game being an ¡°aberration¡± made me feel a lot better, even if that is just what he is supposed to say. He is a leader and finds ways to win games. During training camp, by many accounts, Pro-Bowl safety Troy Polamalu turned back the clock and looked looked faster than ever and appears to be finally fully healthy. Polamalu has been marred by injuries the past few seasons, missing large chunks of the schedule, leading to teammate Ryan Clark saying that he was now just the 3rd best safety in the league. His health no longer looks to be an issue and his timed snap count sack was one of the most impressive plays of Week 1. If Polamalu is back to his old self, the defense just got a whole lot better. Rookie linebacker Jarvis Jones has already earned the honor of the nick name ¡°Uncle Jarvis ¡°by his teammates and now Steel City fans alike. The young outside linebacker has loads of potential and showed flashes of that Sunday when he busted through the Titans offensive line and threw quarterback Jake Locker down like a ragdoll. Jones may start Monday against Cincinnati and could become the first rookie defensive starter since Chris Hoke replaced Casey Hampton back in 2004. The Steelers¡¯ receivers did not look great in Week 1 action against the Titans, but I have few doubts this group will rise to the occasion and surprise plenty of defenses around the league this season. Antonio Brown and Emmanuel Sanders are a strong one-two punch, and there is plenty of depth behind them in rookie wide receiver Markus Wheaton and the reliable Jericho Cotchery. Wheaton was a monster in the preseason and could emerge as an excellent deep-threat option for Ben Roethlisberger. I think Steelers fans take for granted how strong of a coach Mike Tomlin is compared to many of his NFL counterparts. Stability is an important thing in a franchise and Tomlin is the model of that. He brings the best out of his coaching staff and players. While some may be critical of him for minor coaching miscues, the protocol he has installed in Pittsburgh has won the Steelers a lot of football games. Oh, and two Super Bowls. With the franchise seemingly in a period of transition, there is still no other coach I would want at the helm.